Only in Britain, the home of Afternoon Tea, could we come up with another in-between-meal excuse to eat more cake. And thank goodness we did. 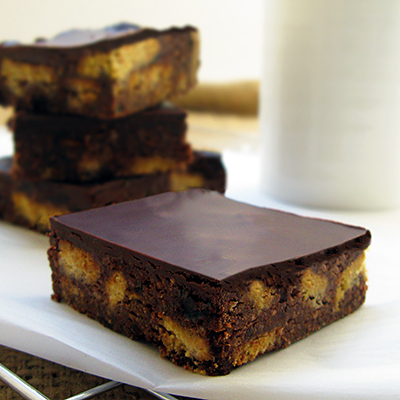 Our Tiffin is perfect for Elevenses with a coffee – a chocoholic’s delight handmade with crushed digestive biscuit, sticky dates and juicy raisins.